Handcuff Overview Videos & Descriptions: USA Police - ASP Hinged Handcuffs Model 200 NIJ Certified So smooth operation! USA Police - ASP Hinged Handcuffs Model 200 NIJ Certified So smooth operation! 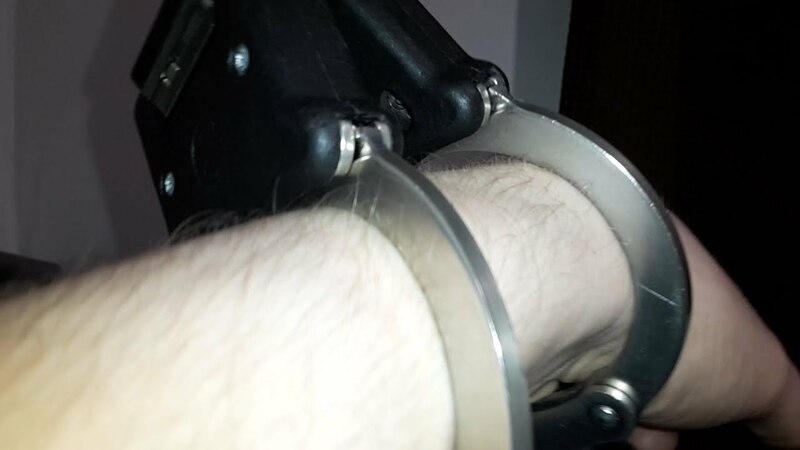 These are the ASP model 200 hinged handcuffs. 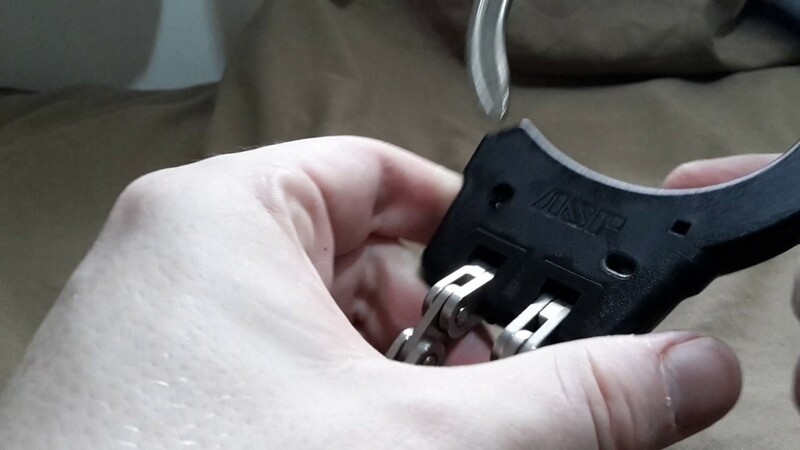 An NIJ certified handcuff for law enforcement. They have exceptionally smooth operation, not a hint of stuttering or harshness just perfect. You can double lock the same way you would a smith and wesson pair, using the window, but also you can double lock using the key as I show you in the video. They are very sturdy cuffs although a little lighter than I first imagined they would be. The locking mechanism can be removed and replaced (if you can acquire more... I cannot in the UK) or removed for easy cleaning and maintenance. These are designed to be shim resistant and I would guess they are somewhat pick resistant due to the design but I have not tested either. Over all, the feel and function of these handcuffs are extremely nice, everything is smooth, no rough or sharp edges, just perfect. Police gear security equipment police equipment.